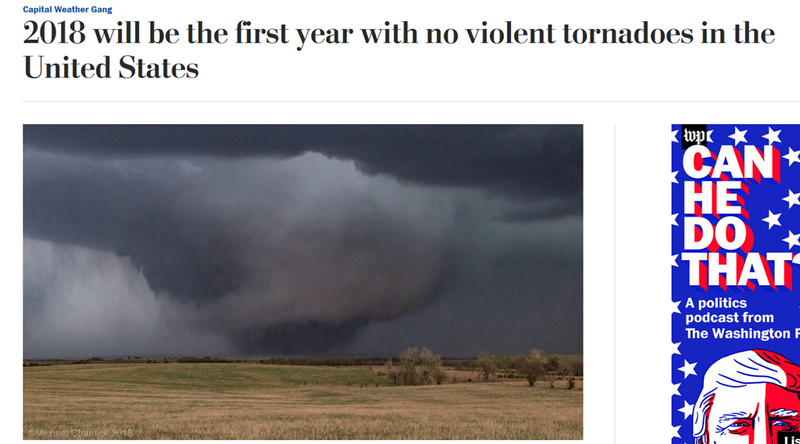 Last week, the Washington Post picked up on the likelihood that 2018 would be the first year on record without a violent (EF-4 and EF-5) tornado in the US. (There has apparently been one EF-4 in Manitoba). As we can see from the graph, this is not a one off event last year. 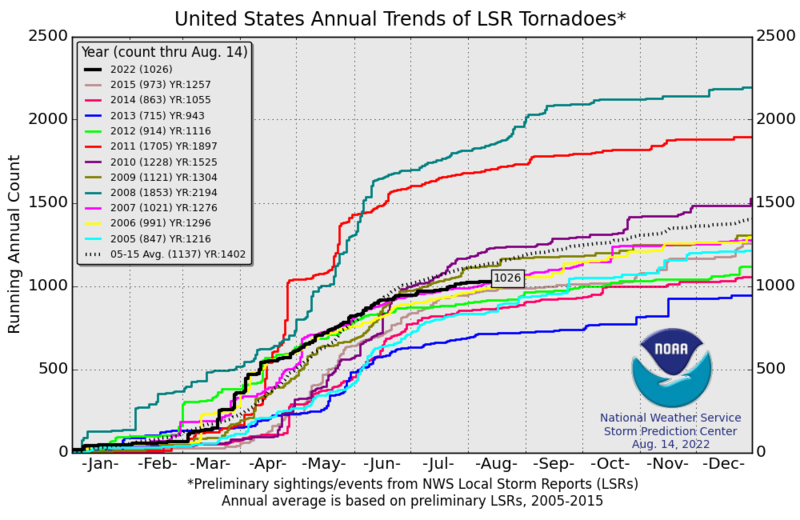 There has been a definite trend to declining numbers of violent tornadoes. It is also significant that we have now completed five years without an EF-5 tornado. The longest such spell on record was seven years, between 2000 and 2006, but on average there are 0.8 EF-5s a year. It also looks as if the number of EF-3 tornadoes will be a record low as well, with a provisional total of ten. The previous low was twelve in 1987. 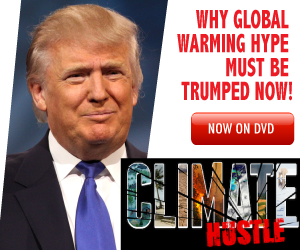 His data mirrors the trends in violent tornadoes. 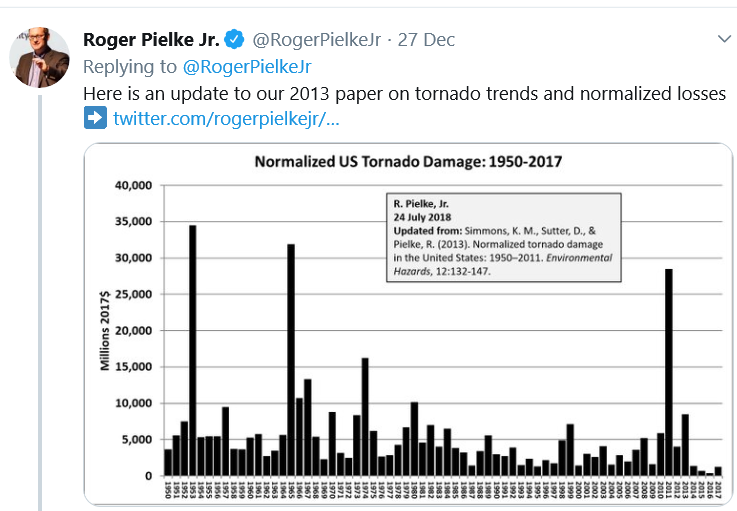 Final confirmation of total tornado numbers usually comes out in March, but preliminary data suggests that 2018 will be well below the 2005-15 average.